At a time when it is common for professing evangelicals to deny the importance of the historical Adam and biblical creation, it is refreshing to see a group of pastors and teachers come together to defend the Bible’s account of creation and human origins. God, Adam, and You is a book with six contributors who have written ten chapters looking at the subject from different viewpoints, and explaining its vital importance in Christian doctrine and church life. One of the characteristics that makes God, Adam, and You stand out is that it is written by pastors and theological professors. 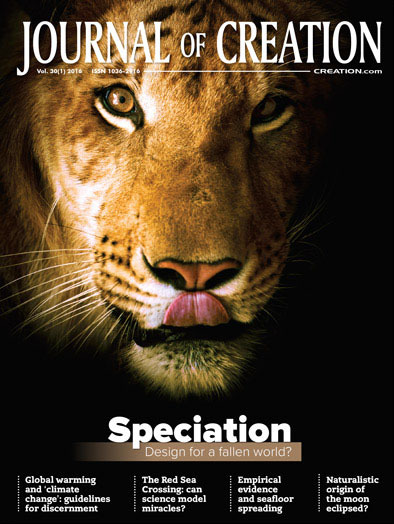 Most of creation apologetics is dominated by scientists and specialists who have made creation the focus of their ministry. Hearing a defence from people who spend most of their time pastoring and teaching brings out some unique elements, which is helpful. Their teaching experience also helps to make the points of the book understandable to laypeople. Sometimes people will attempt to graft the word Adam onto a concept that is quite foreign to the Scriptures. Unfortunately, this lack of specialization also means that the authors occasionally fall back on arguments most creation apologists no longer use, such as creation with ‘appearance of age’ or starlight created in transit (p. 7). Another author equates the created kinds with the species (p. 87), while yet another posits that the speed of light may have been faster in the past (p. 129). This shows that while pastors and teachers definitely have something to teach specialists in creation apologetics, the reverse is definitely true as well. What difference does Adam make? “What about Moses or David? They also appear in historical narratives in the Bible. They are listed in genealogies. They are spoken of as real people by our Lord Jesus. If all that evidence is not enough to prove that Adam was a historical figure, then why should we believe that any of them were historical figures?” (p. 26). 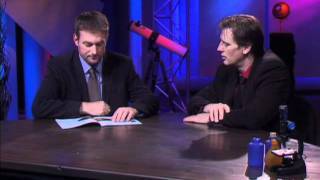 “They deny that the Bible says anything authoritative about scientific matters. On the contrary, they treat modern science as the eyeglasses by which we should read the Scriptures, so that through our scientific knowledge we can sift out God’s message from the erroneous beliefs of the ancient community of faith” (p. 37). Kevin DeYoung, the senior pastor of University Reformed Church, argues that our view of human origins makes a tremendous difference in how we think of human ontology, dignity, and destiny. He shows how creation indicates that there is purpose for human existence and humans have inherent worth because they are in the image of God. He also argues that a biblical view of the Fall of mankind is the only accurate diagnosis of humanity’s sin problem. Most importantly, a biblical view of human origins gives us an accurate view of what believers can look forward to in heaven—the restoration of the original ‘very good’ creation (Genesis 1:31). 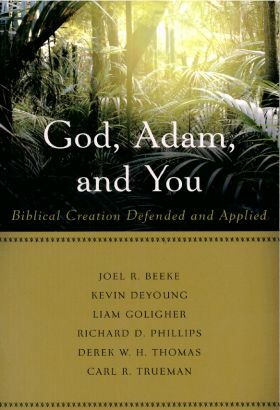 In his chapter, Liam Goligher, Senior Minister at Tenth Presbyterian Church in Philadelphia, argues that God made Adam a priest in the Garden of Eden, and Adam would have functioned as a mediator of a covenant for his offspring, had he not sinned. He draws some helpful parallels between the Garden of Eden and the Tabernacle, but non-Reformed readers might take exception to reading so much of the language of covenant into the Edenic relationship with God. “So when sin appears, it appears as an intruder into the garden. … Evil is not a necessary component of the material and physical world. … People today who think that Adam was some kind of tribal chieftain whom God selected and chose to use ignore the fact that this means there was sin and evil before Adam, because there was death before him. And that means that sin is built into the very nature of humanity. But in the Bible’s account, sin is an alien intruder” (p. 75). 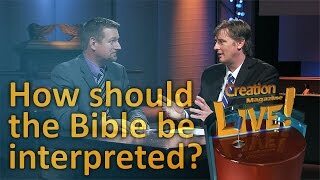 Richard Phillips, senior minister at Second Presbyterian Church in Greenville, SC, and chairman of the Philadelphia Conference on Reformed Theology, shows how the Bible and evolution present mutually exclusive views of origins and how compromise inevitably affects the integrity of the Bible’s entire storyline. Evolution destroys any coherent view of the authority of Scripture and mankind in God’s image, as well as destroying the teaching that death is the consequence of sin. “When a man or woman stands over the bed of his mother watching her die, Christianity no longer says that this is wrong, that this is opposed to God, that this is an enemy that God has vowed to overcome and destroy. ‘The last enemy to be destroyed is death’ (1 Cor. 15:26), says the Bible. But informed by evolution, the Christian instead thinks that only spiritual death is the result of the fall. The death of a child or parent or friend is no longer in itself a great evil opposed by God. Because of the doctrine of evolution, Christians must abandon in principle our position as people of life and join the secularist culture with its callous acceptance of the fundamental necessity and virtue of death. To deny this shift is merely to avoid the implication of what the theory of evolution is: a description of human progress by means of the death of those deemed inferior. Death is the instrument by which evolution works, and it must be embraced as essentially good in the worldview shaped by evolution. A religious position more opposed to Christianity is hard to imagine” (pp. 96–97). “The very argument that Paul makes about Adam, sin, and death is fundamentally at odds with evolution’s version of history. If this is the Bible’s doctrine of salvation, it addresses a sin problem that is mythical, not historically real. On what basis may we conclude that the Christian gospel is itself anything other than another ancient myth, designed to address a problem that we know has no connection to the world described by evolutionary science?” (pp. 98–99). This chapter by Richard Phillips uses the creation of mankind as male and female to promote a complementarian view of men’s and women’s roles in marriage. While not all readers will agree with his complementarian viewpoint, they can nonetheless appreciate his point that abandoning a biblical view of mankind as male and female as the foundation for marriage, including romance and sexual relationships, opens the door to all sorts of unbiblical practices such as androgyny and gay ‘marriage’. Derek Thomas, Professor of Systematic and Pastoral Theology at Reformed Theological Seminary and minister at First Presbyterian Church in Columbia, SC, surveys all the possible views on the days in Genesis, giving the strengths and weaknesses of each view. He is perhaps a little too charitable to some of the old-earth views, and repeats their usual misunderstanding of the Galileo affair, but comes down squarely in the young-earth camp for his own view. Unfortunately, he prefers what he calls an “apparent age” view (p. 128), where God created the earth to look old, rather than the view that geological activity around the time of the Flood shaped the earth as we see it today. He also gives too much credence to c-decay (p. 129). 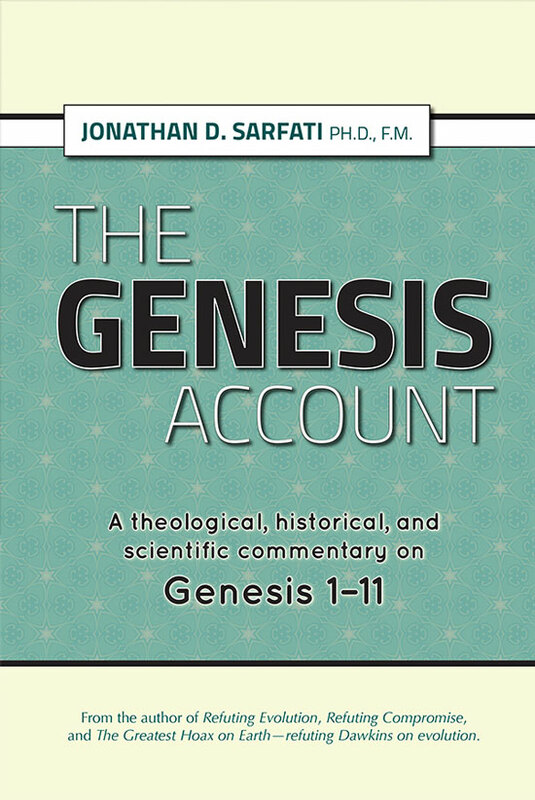 However, his young-earth view takes the days of creation seriously, the genealogies literally with no or few gaps, and one can commend him for choosing a view that respects “the most straightforward reading of the text in accordance with its genre as historical narrative” (p. 139). In Christian writing, there is a tendency to refer to Jesus as ‘the second Adam’. 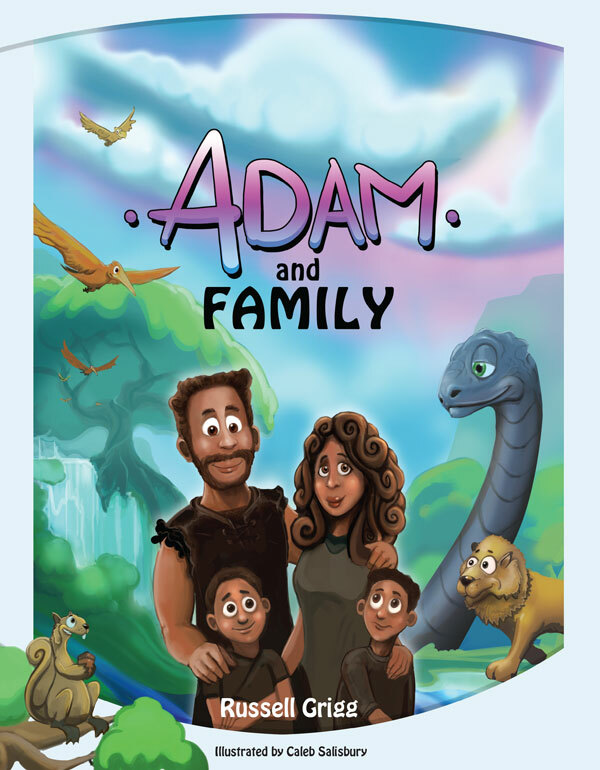 This is an error (strictly speaking, Noah seems to be presented as the second Adam,1 and then there were a variety of people with Adam-like vocations who all failed); Jesus is the last Adam (1 Corinthians 15:45)2—the one who succeeded where all the other Adams failed. But regardless of Joel Beeke’s error with regard to the precise terminology, his chapter makes some good points. The very argument that Paul makes about Adam, sin, and death is fundamentally at odds with evolution’s version of history. Christ as the last Adam restored all that the first Adam lost; He succeeded where the first Adam failed. He withstood the serpent’s temptation in a wilderness while the first Adam succumbed in a garden paradise. The first Adam bequeathed death to all his descendants because of his sin, while the last Adam gives life to all who believe. The first Adam died bodily, the last Adam was bodily resurrected—as those who believe in Him will be. Richard Phillips traces the similarities between the Garden of Eden and the New Heavens and earth, emphasizing that the story of Scripture is one of restoration. This logically implies returning at least to a perfect state from which we fell. He discusses the statement in Revelation 21:1 that there will be no more sea, and interprets it in a figurative sense, meaning that the chaos and destruction symbolized by the sea will be no more (p. 174). But even more importantly, God not only restores His creation, but His people, who will live with Him forever. “First, all of them repudiate any notion that humanity stands guilty before God because of the imputation of an alien guilt, the guilt of a historical man called Adam, to all of his descendants. … Second, all of the theologians reject the relevance of the historicity of Adam” (p. 207). This had disastrous consequences for the theology of all of the surveyed theologians and serves as somewhat of a cautionary tale for those who would compromise in this critical area. 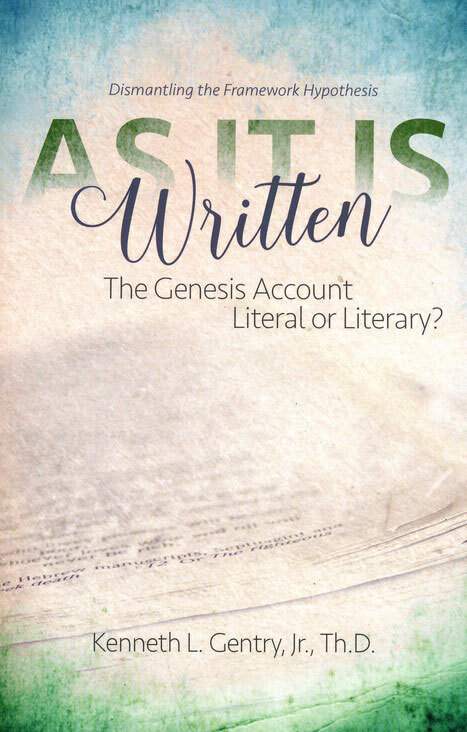 One refreshing quality of the writing in God, Adam, and You is the presupposition that Scripture actually addresses whether Adam was a real historical human being. All the authors have a commitment to honour what Scripture says, not in some nebulous way that allows them to discard the testimony of Scripture, but by actually believing it and incorporating it into their worldview. One product of this view is that the book is overwhelmingly based in biblical theology, rather than science or philosophy. While philosophy or science might be used as supporting evidence, the main arguments of all the authors come from the words of Scripture itself. The writing styles of the authors are pleasant and easy to read. This makes the book appropriate for laypeople interested in the topic. However, an index would have been helpful, especially of scriptural references. 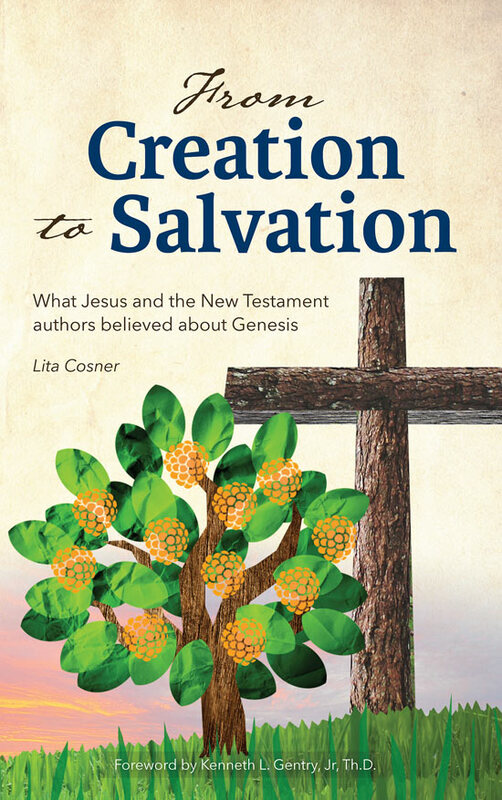 The book’s authors all come from a Reformed tradition and occasionally they make statements in line with Reformed theology that other Christian groups may disagree with (this is particularly the case in Liam Goligher’s chapter, “Adam, Lord of the Garden”). All in all, though there are several statements most biblical creationists might disagree with, their overall message of the Bible’s authority regarding creation is one that all Christians should agree on. Batten, D., Adam and Noah: two beginnings, Creation 34(1):12–14, 2011; creation.com/adam-and-noah. Return to text. Cosner, L., Christ as the last Adam: Paul’s use of the Creation narrative in 1 Corinthians 15, J. Creation 23(3):70–75, 2009; creation.com/1-corinthians-15. Return to text. Madueme, H. and Reeves, M., (Eds. ), Adam, the Fall, and Original Sin: Theological, Biblical, and Scientific Perspectives, Baker Academic, Grand Rapids, MI, 2014. See review by Cosner, L., The vital importance of the historical Adam, J. Creation 29(3):19–22, 2015. Return to text.